Try to FIND 7 IGUANAS in thispicture! 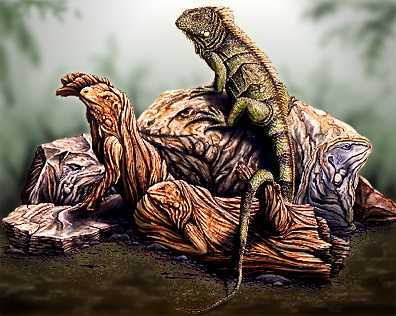 Point and Click where youthink there is a hidden Iguana! 10"X 11" FRAMED ART PRINT (a SignedHigh Quality Artprint framed in a 10"x 11"solid OAK frame! Each Print will be Signed by the artist and comes with acertificate of authenticity! For more details about these see ORDERFORM! "CLICK HERE TO RETURN TO PICTURE"
"THAT WAS AN EASY ONE!"